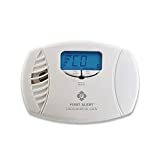 In 2010, U.S. fire departments responded to an estimated 80,100 non-fire CO incidents in which carbon monoxide was found, or an average of nine such calls per hour. … This increase is most likely due to the increased use of CO detectors, which alert people to the presence of CO. These staggering statistics help in proving why the presence of a natural gas detector is a must. Here are some steps to take after this tester is heard making beeping noises in a home. It is best to vacate the premises of a structure where a carbon monoxide detector is active. A phone call should be made to a local fire department to have the home checked over to determine the reason for the alarm going off. If there is no verifiable reason, the detector may be in need of new batteries or the breaker feeding the electricity to the tester may have been switched to an off position. It is best not to take the time to check on this until after the home is checked as health risks would be present. If any of these symptoms are displayed, it is best to remove the person from the home and call for an ambulance immediately. A fire department should also be contacted to evaluate the home for any presence of carbon monoxide. It is recommended to have regular checks of all safety devices within a home to make sure they are working up to par. 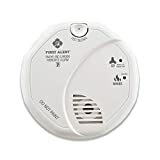 A security system service will have representatives available to come to the home to do evaluations of carbon monoxide detectors, as well as other security enhancement features if necessary. Yearly checks are best to determine if there is a need for repair or replacement of these valuable tools. 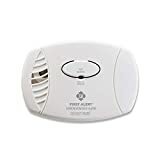 If there is a desire to find out more about carbon monoxide detector installation or service, contacting a company known for their dedication to their customers is best. Protect America is ready to assist with a wide variety of safety features and will give recommendations on the best fit for any household. Check out their website and be sure to stop by to get a free quote to find out what security features are within the desired price range today.